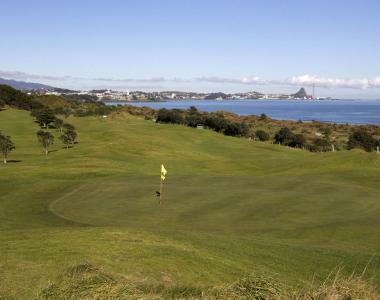 Residents in the New Plymouth district and golfers from the Fitzroy golf course have voiced their collective displeasure at council plans to sell off a slice of golf land for residential development. The partial sale of Peringa Park land currently used for golf is expected to raise around $50 million, but will roughly half the 83-year old golf course site. At a meeting on Tuesday evening the district council was told by a number of speakers that the land was not suitable for housing, and that there were ‘many and varied’ reasons to call off the proposed development. Popular New Zealand website Stuff.co.nz included an article with many interesting comments from those who attended the meeting. The much-discussed Fitzroy Golf Course land is not suitable for housing development, the New Plymouth District Council was told on Tuesday evening. The proposal in NPDC's Long Term Plan to sell off the recreational reserve land for housing development was the dominant topic over the first two days of hearings. Pat Sole from the Taranaki branch of the NZ Institute of Surveyors said there were "many and varied" reasons why the sale may not achieve the desired result, with risks including archeological investigation, rezoning, and obtaining Ministerial approval for revocation. "This land is at the junction of the coastal and volcanic hazard zone," he said. "It is mainly sensitive dune land. Its best use is as a reserve. "It would appear that council has undertaken insufficient research into this proposal or has had inadequate advice, or has not followed that advice." Craig Williamson from the Save Fitzroy Golf Club campaign said the petition opposing the sale of part of Peringa Park had reached 4250 signatures, the highest number of any submission to council. He said he had had a discussion with lawyer Les Hickling, who suggested that if council randomly phoned 20 people out of the phone book, 19 would oppose the sale. "I've still only met a handful, probably a dozen now, who don't think it's a bad idea," Williamson said. "The message is pretty loud and clear; people don't want you to do this."